Slovakia. 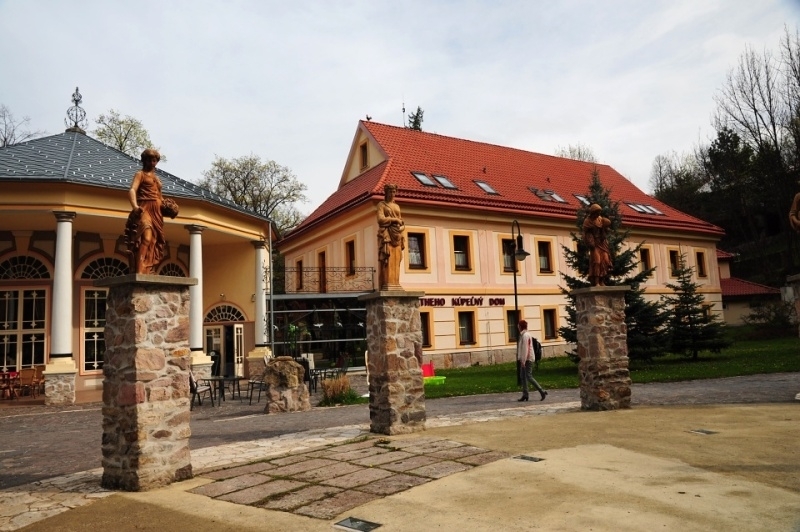 It is situated at the foot of the Štiavnica Mountains between Hliník nad Hronom and Podhorie municipalities near Banská Štiavnica. A pleasant ancient spa town is ideal for a day trip even for families with children. The village is popular mainly thanks to the thermal springs and healing water. Besides, tourists are attracted by Kapitulské bralá cliffs and Szabóova skala rock which became the first protected area in Slovakia in 1907. Sklené Teplice was mentioned in a written document first time in 1340. It was formed as a woodcutters’ settlement, as the local inhabitants used to process timber for the mines in Banská Štiavnica. The first glass factory in Hungary was established here in around 1350. It didn’t produce glass for general purpose, but chemical glass used by metallurgists when finding out glass and silver content in extracted ores. 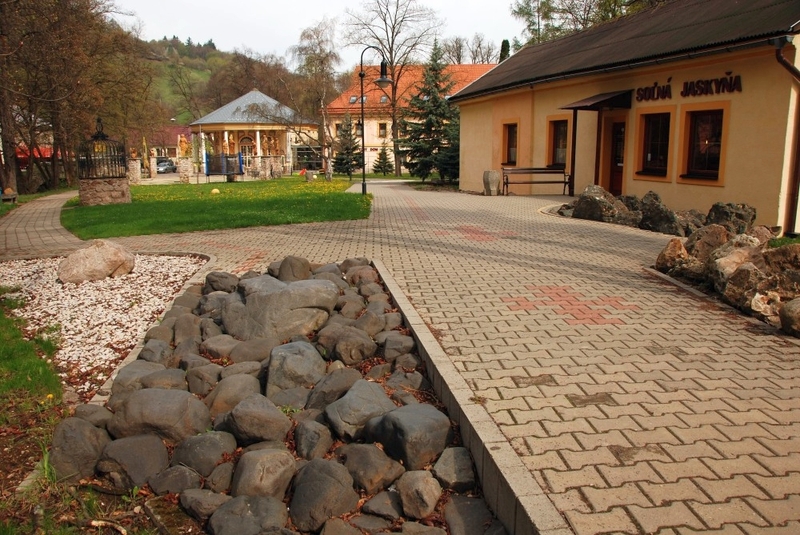 When the factory ended, a smeltery for separating gold and silver from unused ores was established in Sklené Teplice. When in 1751 Emperor Francis of Lorraine, husband of Maria Theresa, visited Banská Štiavnica, he stopped around the smeltery in Sklené Teplice. In 1785 the establishment of an amalgamating plant started in these premises. It was the reason why the first International Congress of natural scientists in the world took place here—in Sklené Teplice. The first international scientific society was established here, publishing the first international scientific magazine in the world. Industrial production in Sklené Teplice gradually ceased and the municipality started to focus purely on spas and agriculture. This ancient spa town is ideal for a day trip even for families with children. 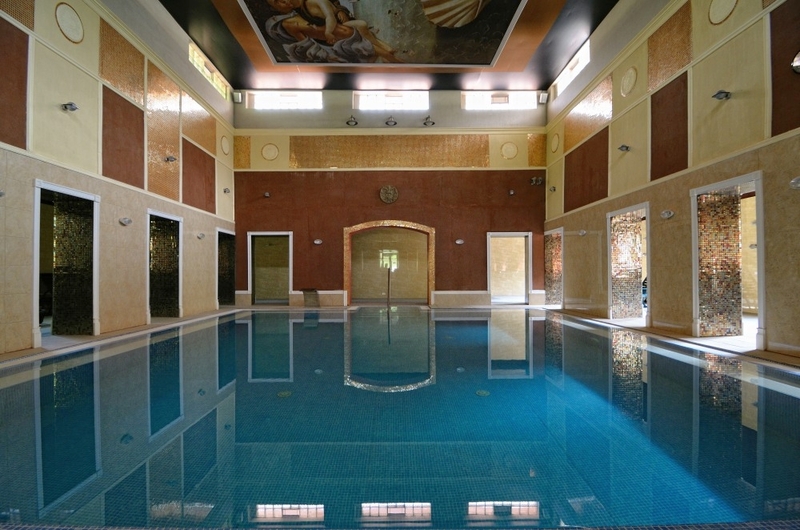 The famous spas have tempted many specialists and travellers. It has been visited by, for instance, a famous English traveller Edward Brown, a German mineralogist and botanist Brückmann, but also a Slovak scholar Matej Bel. In the middle of the municipality where healing thermal water of 37°C-52.3°C wells forth, there is a Medical and thermal spa resort. The thermal pool with a leisure pool, children’s pool and a hip-pool with water temperature from 24°C to 39°C is popular as well. The greatest attraction, unique in Europe, is the natural travertine cave Parenica with thermal water. The water in it has a temperature of 42° C. The steam bath doesn’t take longer than 20 minutes, followed by a half-hour wrapping and relaxing massage chair. Besides, tourists are attracted by Kapitulské bralá cliffs and Szabóova skala rock which became the first protected area in Slovakia in 1907. Over the municipality, ruins of Pustý hrad castle (Desolate castle), Teplica can be found. It used to be part of fortification system of the mining towns in central Slovakia. Its construction started in the late 13th century. The castle ceased during the 17th century. Climbing the hill to the ruins of the castle from the village of Repište and then descending to an artificial lake of area about 0.9 hectares is an interesting walk. Among others, the monuments of the village include a classicistic Roman-Catholic Church of St. Luke built in 1808, situated over the village as its dominant feature.